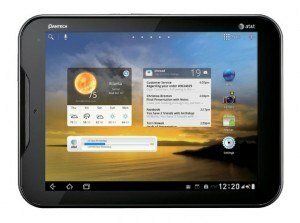 This guide will instruct you on how to reset Android on the Pantech Element, a tablet that remains a favorite for fans of the Pantech company up to this date. Before you begin to reset Android on your Pantech Element tablet, we suggest -if you still have working access into the Android OS on it- that you perform a backup of your files. The easiest way to backup everything is through an application called G Cloud: It will create a copy of your files on the Internet so that you can then easily restore Android. You can download this app from the Google Play Store. You can reset Android from the Android menu through this method. Hence, you got to have access to your Pantech Element operative system. If this is OK, then you navigate into the applications menu , tap Settings , go to Backup and Restore (or Privacy if you are on Android 3.2 Honeycomb ), press Factory data reset , then choose Reset Device and finally select “Clear All” . With the VOLUME buttons move into “Wipe data / Factory Reset” option. Navigate to ” Yes – Delete all user data” and reconfirm the process with the POWER button. Note: This process differs from the previous one because it will not erase the data from the Pantech Element`s MicroSD card: if you want to do it manually go to settings > storage and format the card from there.